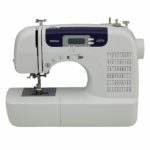 Are you new to sewing and looking for a strong machine that is easy to use? Or are you a pro, in search of a machine that will give you an array of stitches and high-quality finishes? 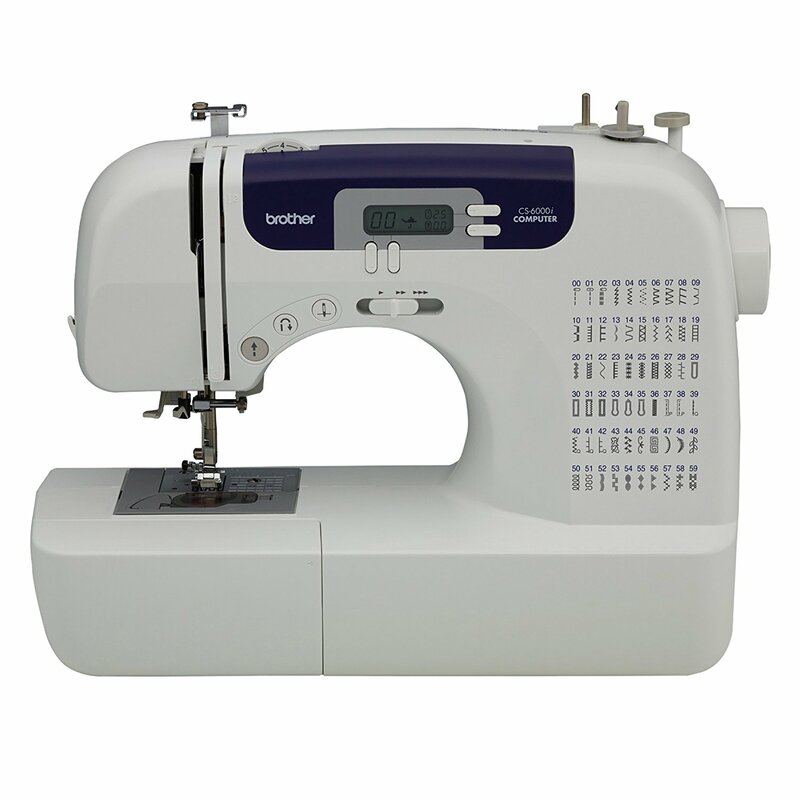 The Brother CS6000i Sewing Machine is feature packed machine for an amazing price. A brightly lit space for working, which makes your sewing easier. An automatic threading system. Ever tried to find the thread in your bobbin and you just can’t seem to get a hold of it. This is a time and sanity saving feature that both beginners and experienced users will appreciate. Stitch selection- The LCD display offers this feature to choose from 60 stitches, and even adjust the length and width of the stitch. Easily adjustable sewing speed. 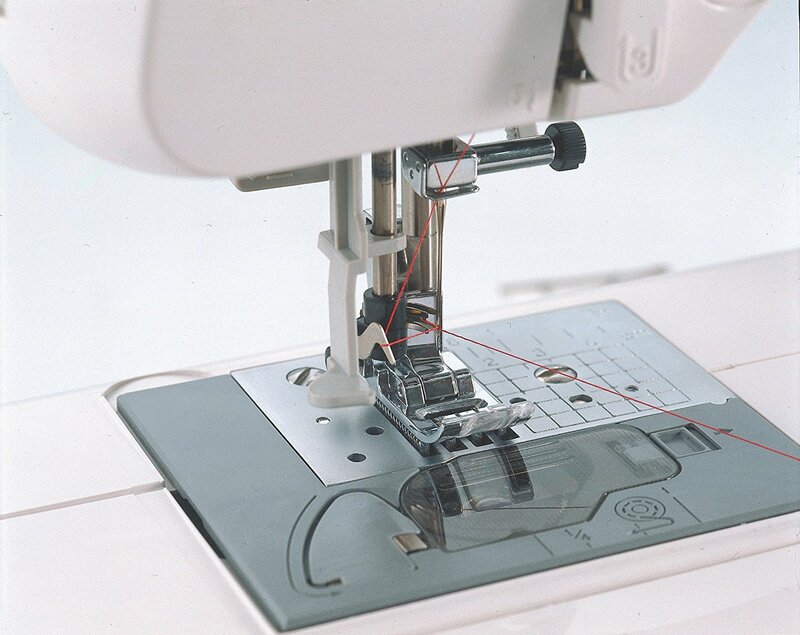 You can adjust the stitching speed, according to your project’s needs using a gliding stitch slide, which is easier than using the foot control. Larger than normal table. This feature comes in handy when dealing with big, bulky projects as well as for quilting. The forward and reverse sewing feature makes it easier to make double stitches without needing to reposition the fabric regularly. The Brother CS6000i has a 25-year warranty and free lifetime phone support, how is that for value for cash? Portability- the machine is easy to carry, weighing only 13 pounds. This is an advantage for those planning to carry it to quilting or sewing classes. Computerization of features such as stitch selection makes it a good selection for beginners and experts alike. 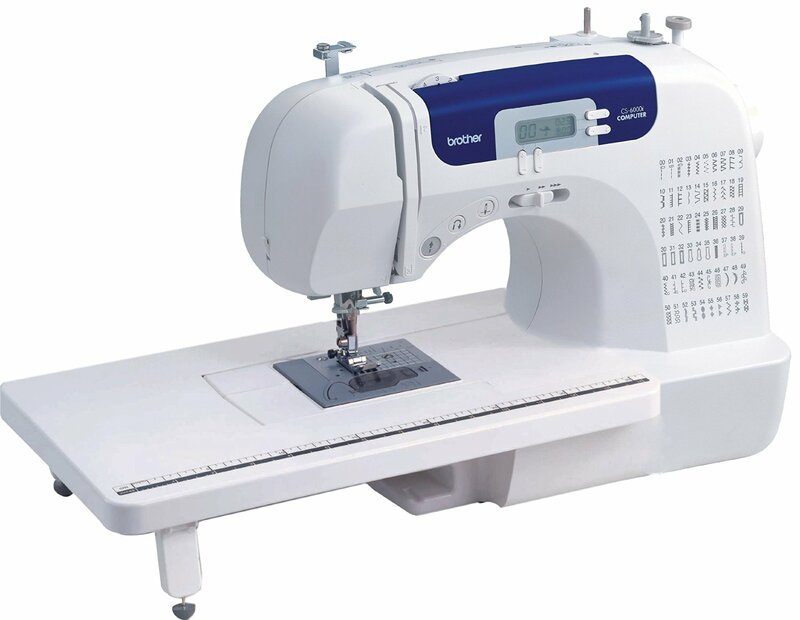 The design is deliberately made to reduce jamming of the machine, making the sewing experience easy, fast and fun. The built-in arm that comes free with the machine is a handy tool for sewing sleeves, hems and cuffs, hustle free. For quilters and those in crafts, this model comes with some vital attachments such as the quilting guide, the walking foot and the quilting foot. The quilting foot and guide are essential for evenly spaced stitches. The walking foot on the other hand, helps in feeding several layers through the fabric feed at the same time. Users have had some slight concerns with this sewing machine over the course of their use. 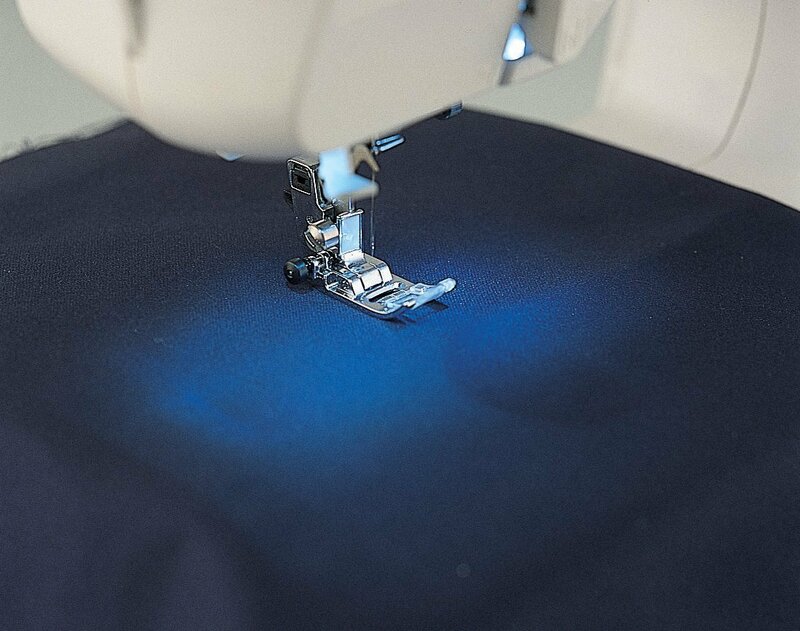 One of them being, the light near the sewing surface may not be strong enough when one is dealing with dark colored fabrics and dark threads, but it is good enough with light fabrics. The other issue is the tension of the bobbin may become iffy especially after heavy and prolonged use. This is because the model’s body is made of Styrofoam and plastic. 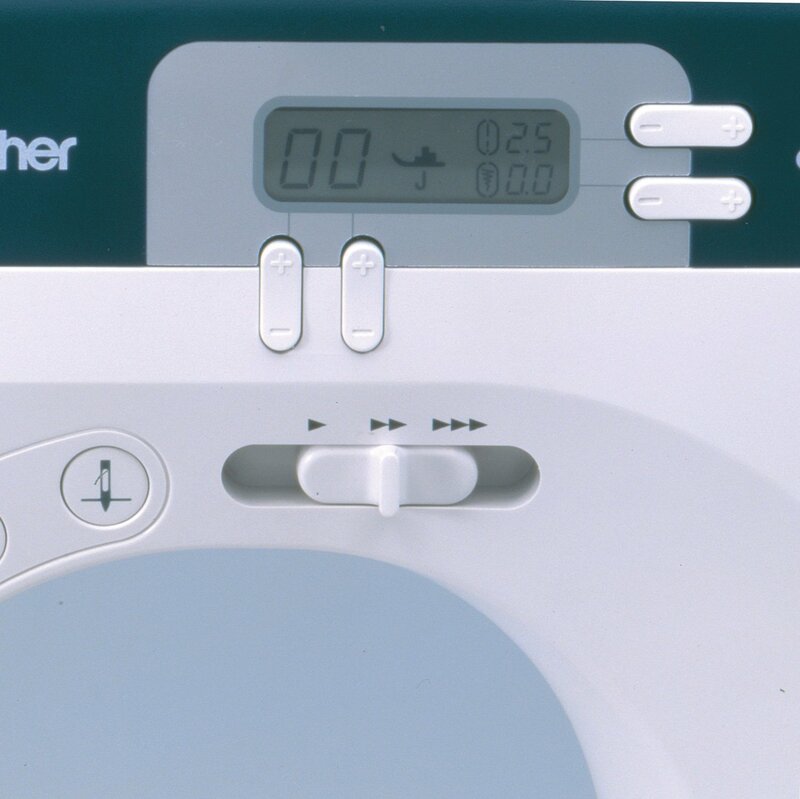 Certainly, the Brother CS6000i Sewing Machine is a smoothly operating feature-rich machine that offers a unique and unmatched sewing experience that has few complications. Its dimensions and light weight make a case for its compact size and portability, meaning you can take it with you wherever you go. The computerization of its features, as well as its versatility makes this sewing machine quite ideal for novices, hobbyists and even gurus.